Sales of American Eagle silver bullion coins by the U.S. Mint on Nov. 30 helped the bureau establish a new record, with two and a half weeks worth of sales remaining to add to the count. The sale Nov. 30 of 737,000 coins out of 920,500 allocated to authorized purchasers for the week beginning Nov. 30 raised cumulative 2015 sales totals to 44,666,500, or 660,500 coins beyond the record 44,006,000 set for calendar year 2014. The authorized purchasers' Nov. 30 sales left 183,500 coins to fill orders for the remainder of the week ending Dec. 4. U.S. Mint officials notified authorized purchasers Nov. 24 that the West Point Mint would continue to strike 2015 American Eagle 1-ounce .999 fine silver bullion coins through Dec. 7, with Dec. 14 likely being the last allocation date. 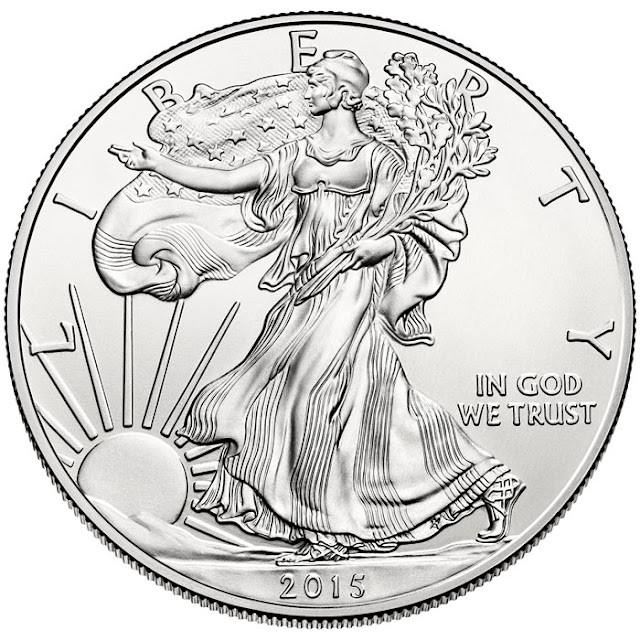 The U.S. Mint expects to begin taking orders for 2016 American Eagle silver bullion coins beginning Jan. 11. January is the highest sales month for calendar-year 2015, with 5.53 million coins sold, followed by July with 5,529,000 coins. Additional monthly sales totals likely could have surpassed those two highs had sales not been under weekly restrictions because of the Mint's difficulty in acquiring sufficient planchets on which to strike the bullion coins. The American Eagle silver bullion coins are not sold directly to the public. Instead, the coins are sold to a network of authorized purchasers who offer a two-way market for the coins. Orders are placed based on the closing London PM spot price per troy ounce plus a $2 premium per coin. The coins are then sold at a mark-up to other dealers, collectors and investors. Sales of the American Eagle silver bullion coins to the authorized purchasers have been on weekly allocation for most of 2015 because of planchet shortages.